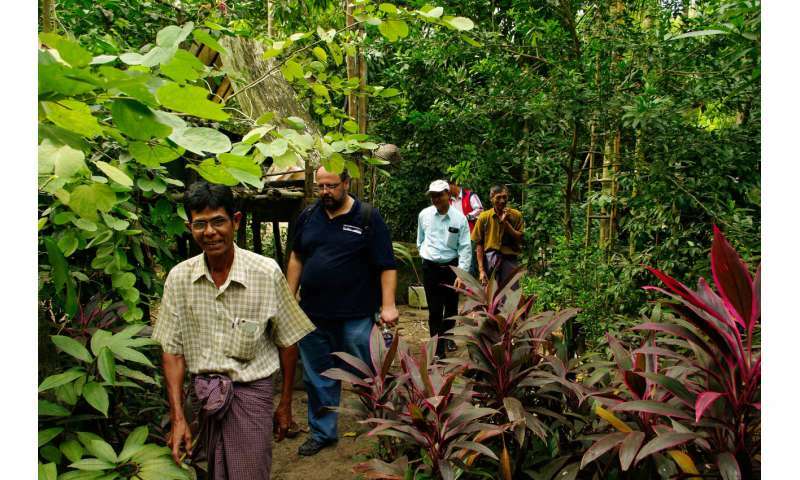 WHOI geologist Liviu Giosan (in navy blue shirt) and the rest of the team make their way through inhabited and forested old beach ridges of the Ayeyawady River delta with the help of a local guide. Credit: Florin Filip, The Institute for Fluvial and Marine Systems, Bucharest, Romania. 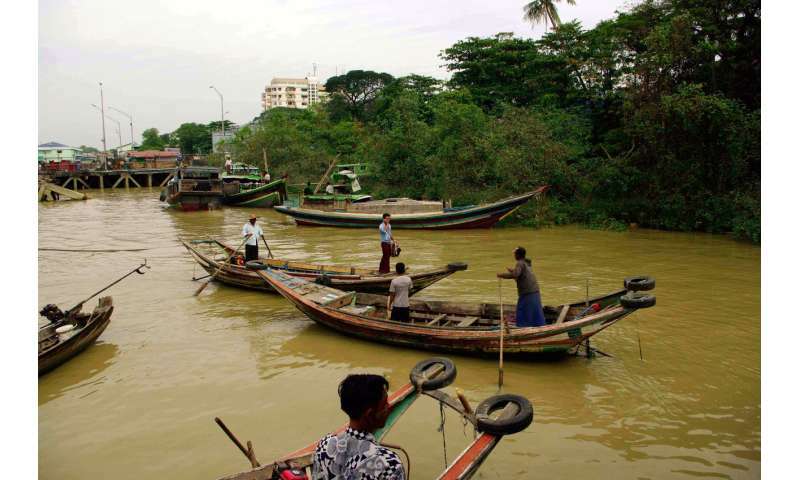 In bustling Yangon Harbor, locals use traditional boats for fishing and ferry services. Credit: Florin Filip, The Institute for Fluvial and Marine Systems, Bucharest, Romania. "Myanmar sits directly where the Indian plate slides underneath the Asian plate. The fault system extends into the Andaman Sea, maintaining deeper waters and stronger tidal currents on the eastern side of river mouth that move sediments offshore. 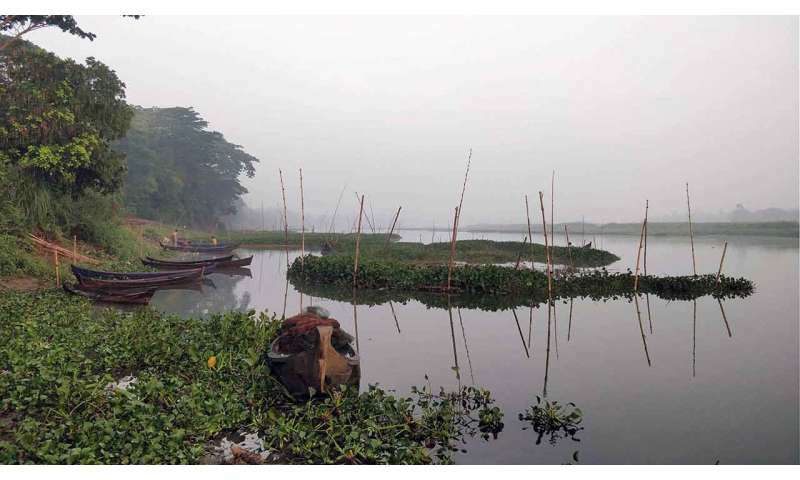 In the past the western side grew faster than the eastern coast, but this situation is about to change as dams are being built upriver, " Giosan notes. Constructed on higher ground like beach ridges or levees, Buddist pagodas are usually surrounded by vegetation and fishing ponds. Credit: Florin Filip, The Institute for Fluvial and Marine Systems, Bucharest, Romania. 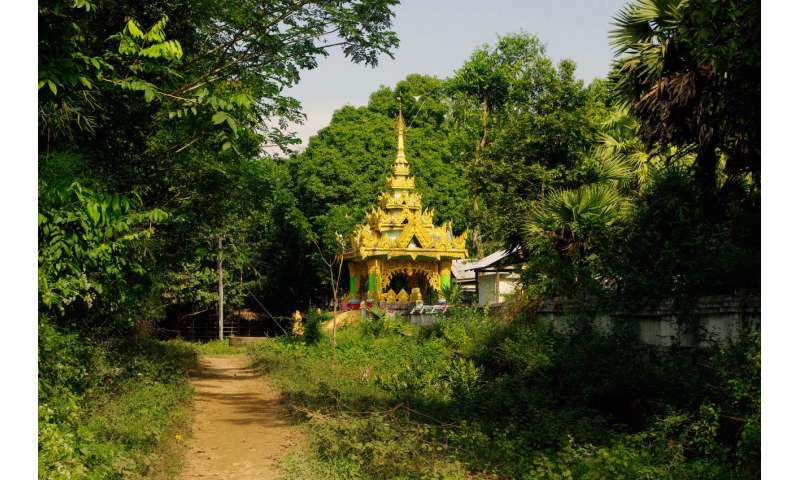 Although he's passionate on a professional level about the work he's doing in Myanmar, Giosan is also quick to note that it appeals to him personally. Like Myanmar, his homeland of Romania was ruled for decades by a closed regime under dictator Nicolae CeauÈescu.